Need more information about booking Property 3481461 ? There are two digital televisions, one with a DVD player, and complimentary broadband. Gas and electricity are included in the accommodation charge in the summer months (a £21.00 weekly supplement between 1st October and 30th April is added). Bed linen, bath and beach towels are provided. The cottage is cleaned weekly. Welcome packs are available at an extra charge. Car parking spaces are available outside the cottage (ask for details). Booking information: we ask for a £100.00 non refundable deposit (£300.00 for motor sport weeks), to secure booking; and full payment 6 weeks before your holiday. We cycled over from Douglas and received a very warm welcome on arrival at the cottage. The cottage had recently been renovated to a very high standard, was very well equipped and comfortable. The cottage has wonderful views across the bay and every day the view was different, dependent on tides and weather. We much preferred sea gazing to TV watching. We saw a wide variety of sea birds, seals, sailing boats and surfers. 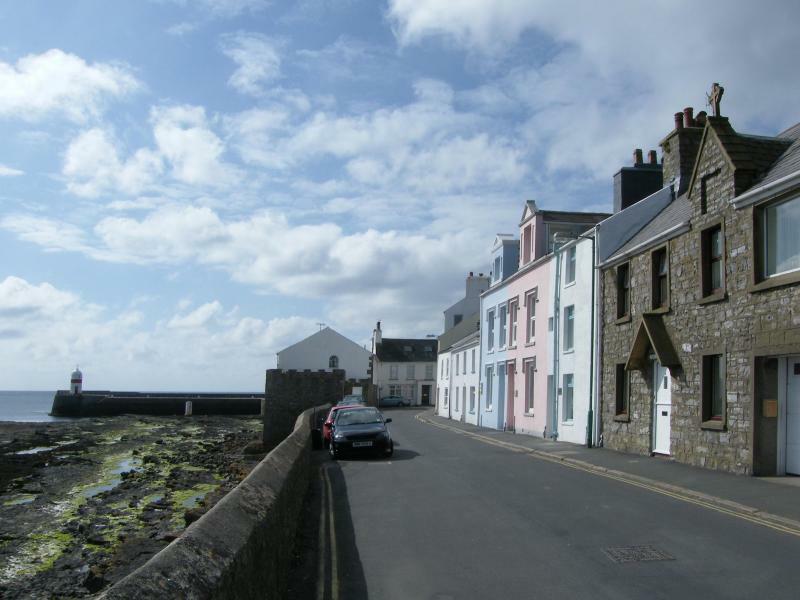 Castletown is an ideal base for exploring the southern island, with good local shops, coastal walks, pubs and visitor attractions. The local bus service is excellent, although we enjoyed cycling most days on local roads and bridleways and the forest trails of South Barrule. A great spot with a warm Manx welcome, we will be back soon. Response from the owner Thank you for your lovely review. We are so pleased you enjoyed your stay in Roy Cottage and look forward to seeing you again. We had a wonderful visit to the e Isle of Man and stayed at the idyllic cottage "Roy Cottage" in Castle Town. The cottage is on 3 floors and has amazing views of the bay and light house it is also a 1 minute walk to the harbour and surrounding amenities. The cottage is very well presented and has all the facilities you would need to be self catering and is finished to a high standard. The lady meeting and supporting your visit is very helpful and could not do more for you. Response from the owner Thank you for this lovely review. You'll need to send Julie (the owner) an inquiry to book - the owner will let you know how to pay. If they accept online booking they'll send you a quote and info on how to pay. If you pay through our website you’ll be covered by Payment Protection. Or you can send Julie (the owner) an inquiry through the contact form to request a quote. Julie (the owner) will email you the total cost for your dates and how to pay. Send Julie (the owner) an inquiry through the contact form requesting a quote for your dates. Julie (the owner) will email you the total cost for your dates and how to pay.